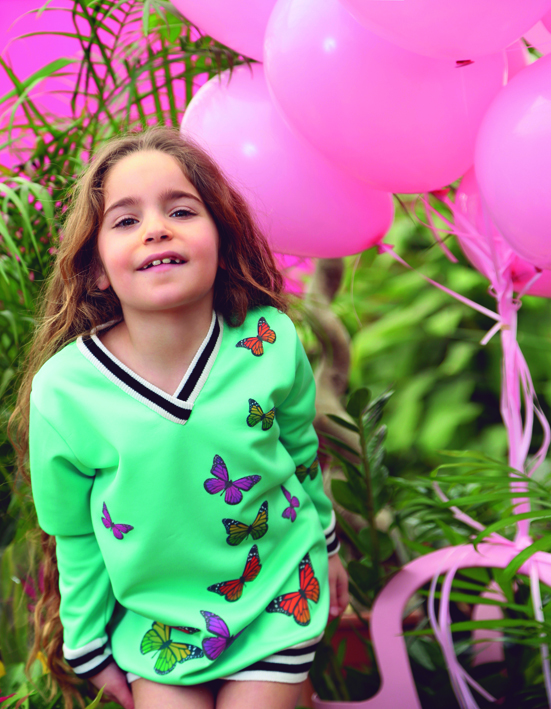 Tell us about Little Star, your clothing brand … As a designer, I love trendy outfits, it’s a very strong inclination I have for funky pieces for children. It started as a simple hobby when I was creating sets and accessories for my daughter. It was a pleasure. Later, people asked me where I bought these pieces to dress their daughters. Three years ago, I opened a small workshop and crafted a mini collection of clothing for children. Thus was born the brand Little Star, which has evolved over time. These last two years, I produce on a one collection per season. To which shows do you participate? I regularly participate in all exhibitions that take place in Lebanon, like Zaitunay Bay that has just ended, and the Festival of Faraya and those held at Villa Sursock. As for the events that take place abroad, I have already participated in an exhibition in Dubai and I prepare many others very soon, in different countries. An idea of ​​your creations … New projects for children are currently being realized, with materials, quite new fabrics, unprecedented. Each project will be revealed in time. But very soon the children will have their beautiful collection Ramadan. What would you do to grow your business? To grow my business, I think first it would be good to use for children new designs, the finest materials, and of course to always have new ideas. One also should be faithful to the expectations and desires of customers, and ultimately, to participate as early as possible, regularly and more to international exhibitions.